The Moto E4 is not the most exciting handset in the world, but it does everything well. The hardware is inexpensive without being "cheap"; the screen is bright and colorful; battery life is solid; and data/voice performance was quite good. Some people will be happy about the swappable battery and others will find joy in the 3.5mm headphone jack. Motorola and Verizon left the Android 7 operating system unmolested, which I appreciate. The simple additions from Motorola, such as the ambient display, add real value to the day-to-day experience with the E4. The camera app is a breeze to operate and the phone outshoots more expensive handsets. If you're in the market for a smaller sub-$100 handset, the Moto E4 is the one to get. Verizon is offering it through its prepaid service for just $70. That's an absolute bargain. 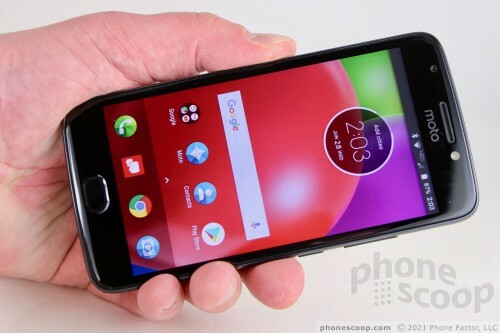 You'll find it unlocked from Motorola's web site for $130. Even at the higher price, the Moto E4 is well worth it. The E4 is a perfect first-time smartphone for a younger child and may make for a good going-back-to-school gift.